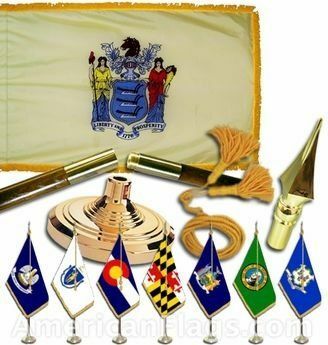 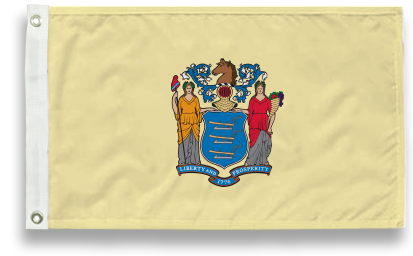 AmericanFlags.com is proud to carry New Jersey State Flags in a variety of materials, and styles, in sizes ranging from 4 IN X 6 IN to 12 FT X 18 FT. All of our New Jersey flags meet official specifications, are on sale right now and are ready for immediate shipping to your door. 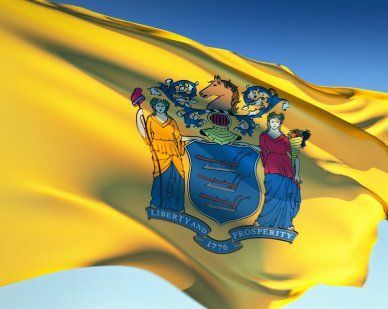 The buff-colored backdrop of the State Flag of New Jersey mimics a color in the uniform selected by Gen. George Washington for his New Jersey Continental Line in 1779. 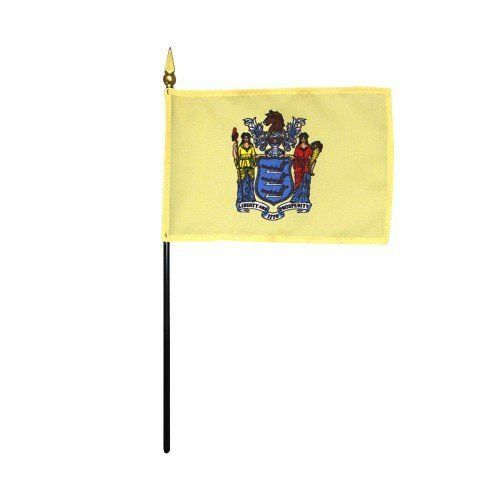 Officially adopted in 1896, the New Jersey flag also depicts the state seal, which was designed in 1777 by Pierre Eugene de Simitiere. 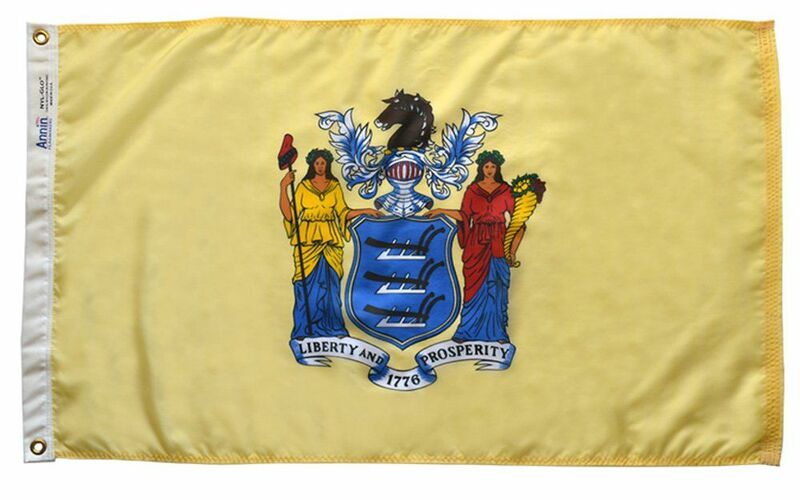 The Goddesses of Liberty and Agriculture flank a shield in the center of the flag on which the images of three plows appear.